The Bernard M. Gordon Learning Factory is a state-of-the-art facility that supports the Capstone Design Program in the College of Engineering. 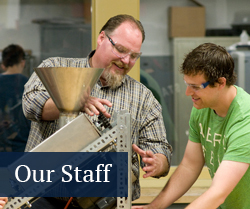 Expanded in 2006, the 6,500 SF facility sees continuous usage throughout the year by more than 1,000 students who take courses ranging from Introduction to Engineering Design (first-year students) to Capstone Design (senior) and anything in between that requires to access to hands-on manufacturing facilities and space. 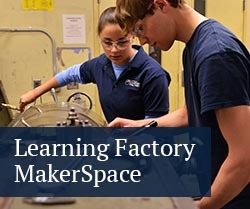 To use the Learning Factory, a student must be enrolled in an engineering course, and be working on a course-related project. Due to University regulations, the Learning Factory cannot be used for personal work not related to a course. Priority is given to undergraduate students; graduate students must make special arrangements by contacting a Learning Factory representative. When not used for a scheduled class session, the design studio wil be available on a first come, first served basis. The manual equipment in the manufacturing shop is available on a first come, first served basis. Special arrangements must be made with the shop supervisor for use of the CNC, Waterjet, and 3D printers. 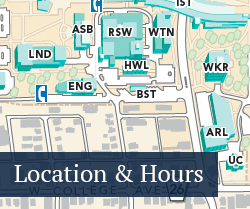 Due to high demand — especially at the end of the semester — students are asked to use their home department's facilities if at all possible.